The elegant tile laying game for the whole family! Your goal: Collect as many points as possible in all five colours. Each turn you place one of your tiles on the board. In addition, score extra points by placing a pyramid in a surrounded empty space. 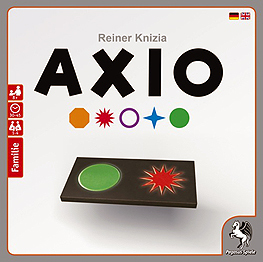 Axio - such simple rules, so smart a game idea!